Please RSVP to guarantee your place in class-only 8 spots available, and three are already spoken for! 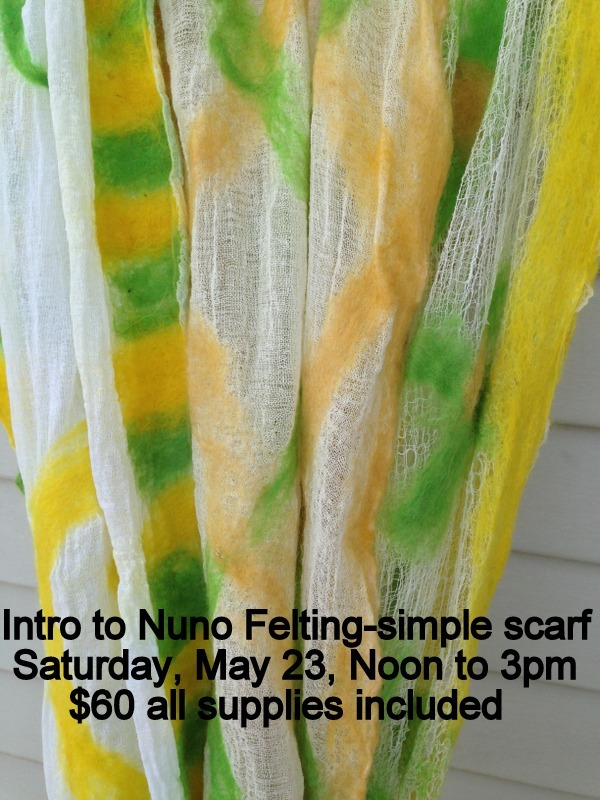 Bring along a couple of old towels to use to transport your scarf home, and be prepared to have fun learning this wonderful felting technique as you create an ethereal scarf with cotton fabric and alpaca fibers, perfect for wearing year round! Reply to this post to RSVP, or send an email to me at annasplaceofholding@gmail.com, or leave me a message at 785.554.5154.